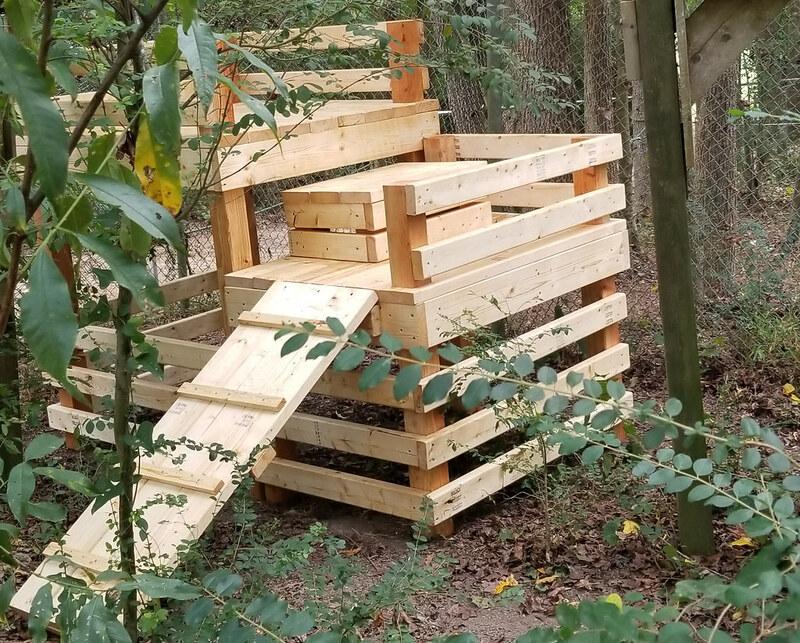 Girls Scout Troop #3341 of Girls Scouts North Carolina Coastal Pines built two Carolina Tiger Rescue animals new platforms, which were distributed last week. 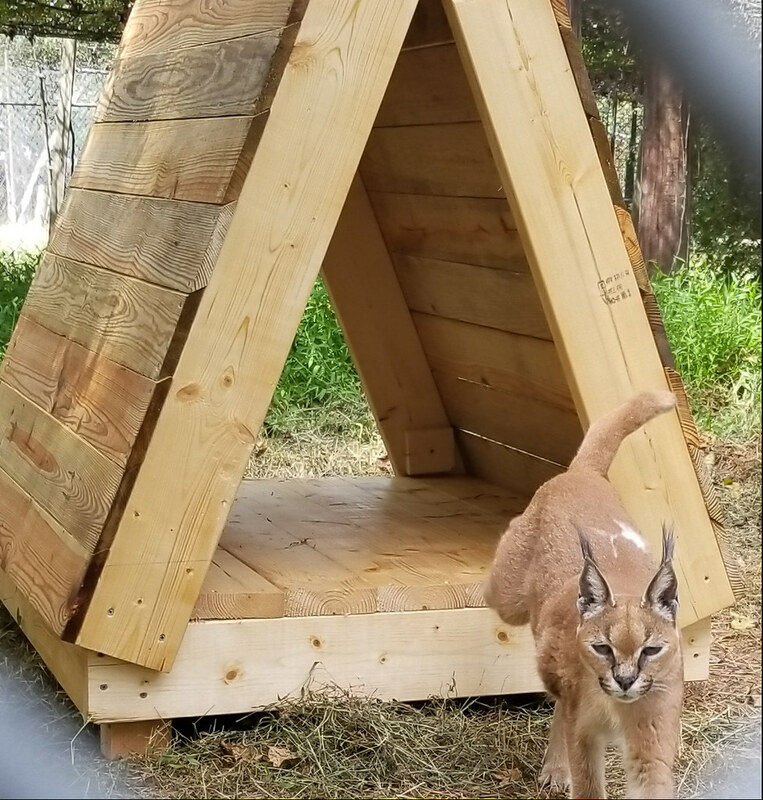 Electra Caracal and Elvis Serval gained the new additions to their enclosures — and they are enjoying the platforms! The troop worked with Carolina Tiger keepers in making its design a reality. They also discussed how the project would accommodate Elvis, who has three legs. His platform is multi-leveled and contains a ramp. Electra’s is shaped like a tee-pee and opens on both ends. Consider it new enrichment! When Carolina Tiger team members add something to animals’ enclosures to stimulate one of the five senses, it’s considered enrichment. The residents have platforms in their enclosures to enjoy climbing and lounging on various playgrounds! Electra Caracal enjoys time in her new platform. Elvis Serval gets a new addition to his enclosure. 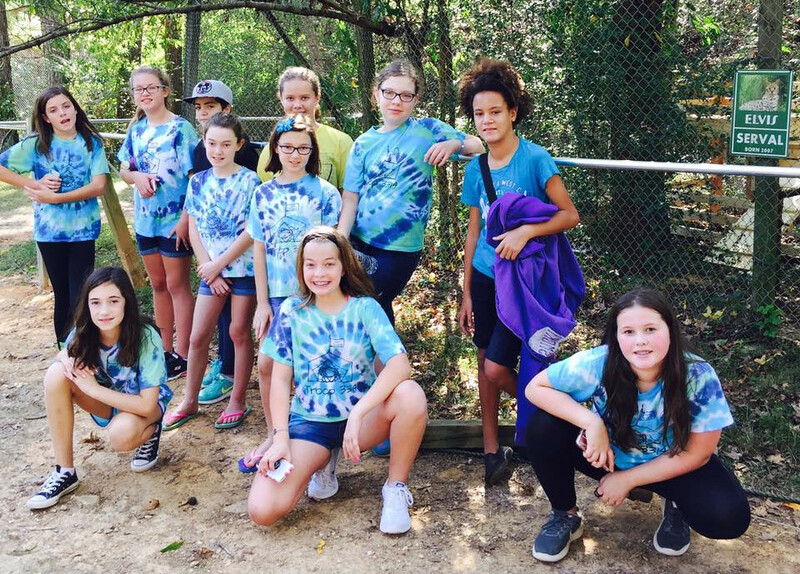 Girl Scouts pose at Carolina Tiger Rescue.